Jonathan Boynton-Lee and Jay Anstey are on the show this Wednesday. 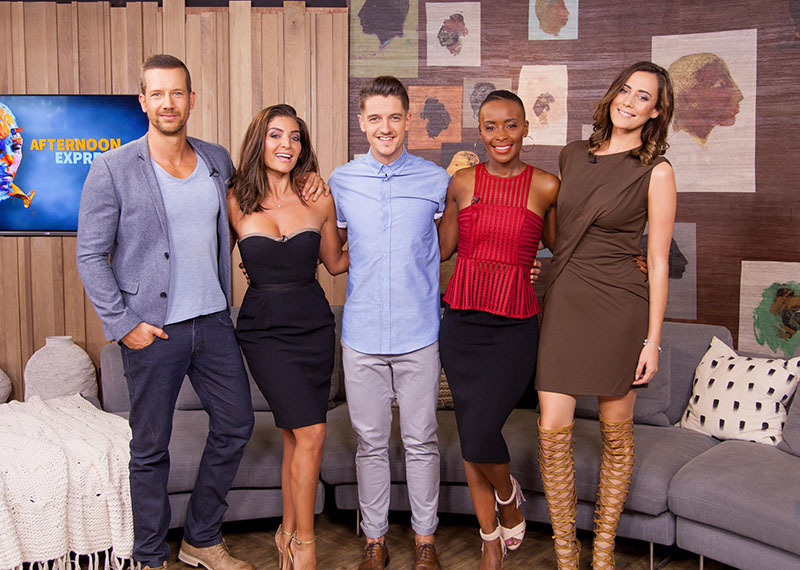 We're very excited to have one of South Africa's hottest couples on Afternoon Express as we welcome Top Billing presenter Jonathan Boynton-Lee and model and actress Jay Anstey to our loft. The two will be talking about their careers as well as how Magnum brought them together. While ice creams are cool, things will heat up as Jono and Jay face off against Danilo and Jeannie in a Dubsmash Battle! Also on the show, we take a look back at the opening of the Magnum Pleasure Store in Sandton and in the kitchen Clem is creating a sweet coffee-based Magnum affogato.